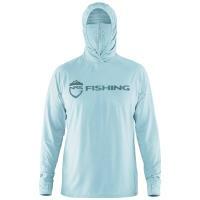 For lightweight coverage in warmer weather, on or off the boat, the Shimano Tech Hoodie is the perfect fit! 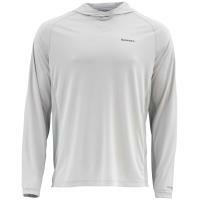 Featuring integrated mesh paneling and UPF 50+ rating, you'll experience an ultra comfortable fit with sun protection and increased airflow. Fight off the effects of the heat with the Shimano Tech Hoodie. 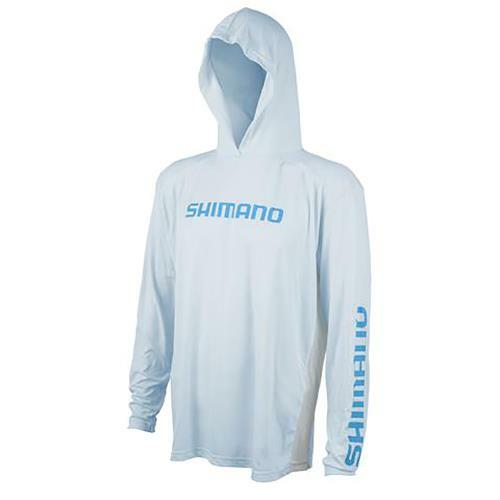 You can show off your love for one of the top reel makers in the world with the large blue Shimano logo on the front, the length of the right sleeve and even on the back of your neck. 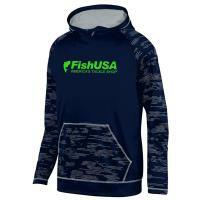 Made out of 100% polyester with integrated mesh paneling, you'll experience an ultra comfortable fit with increased airflow for extra moisture wicking. 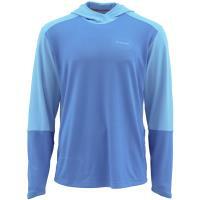 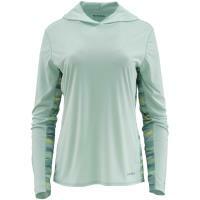 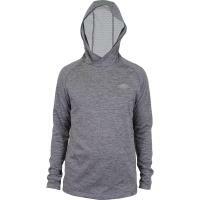 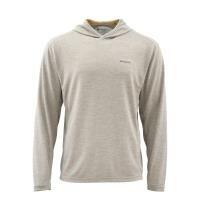 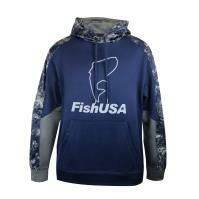 This Tech Hoodie provides a UPF 50+ rating to protect you from the harmful sun. 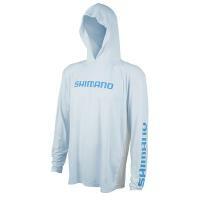 For lightweight coverage and comfort in warmer weather, on or off the boat, the Shimano Tech Hoodie is the perfect fit.